We live in an age where there’s literally an app for everything, there’s one to tell you the best time to pee when you go to the cinema, ones that tell you when you’re going to get your period and even a game to take a dump on Trump. With our GB pretty precious is it worth downloading ‘Kwickie’? Let’s find out. 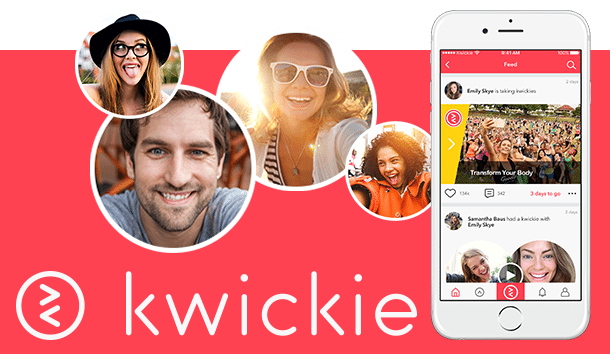 ‘Kwickie’ allows you to have quick (surprise, surprise) face-to-face conversations with your friends, fans if you’re fancy and celebrities all on one video messaging app. If you’re lucky enough to get your question answered by a celebrity, you’ll also be able to see their reaction as they watch your video. Gabby Lindley and Hobbie Stuart have already started messing around on the app answering questions, and being cute as hell. Brands have also signed up including Red Carpet who got Troye Sivan on the app at this year’s Billboard Music Awards. Download on iOS and Google Play now for free.